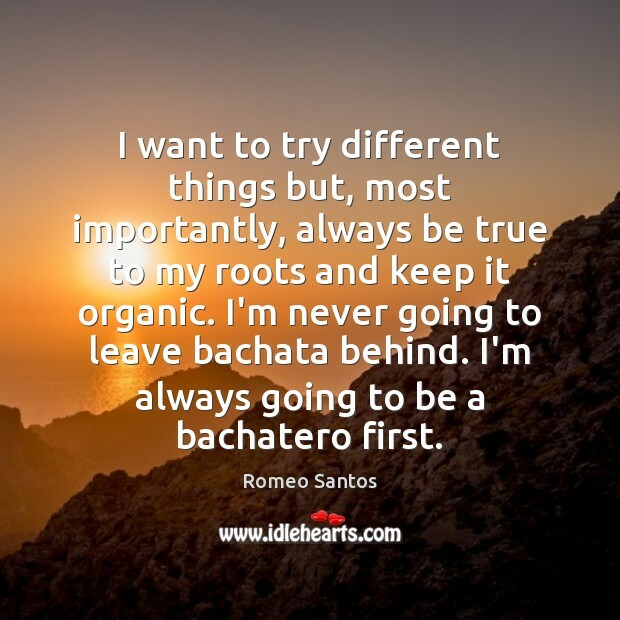 Quotations about Bachata. Quotes to stimulate mind and drive action! Use the words and quote images to feed your brain inspiring things daily! I want to try different things but, most importantly, always be true to my roots and keep it organic. I'm never going to leave bachata behind. I'm always going to be a bachatero first. 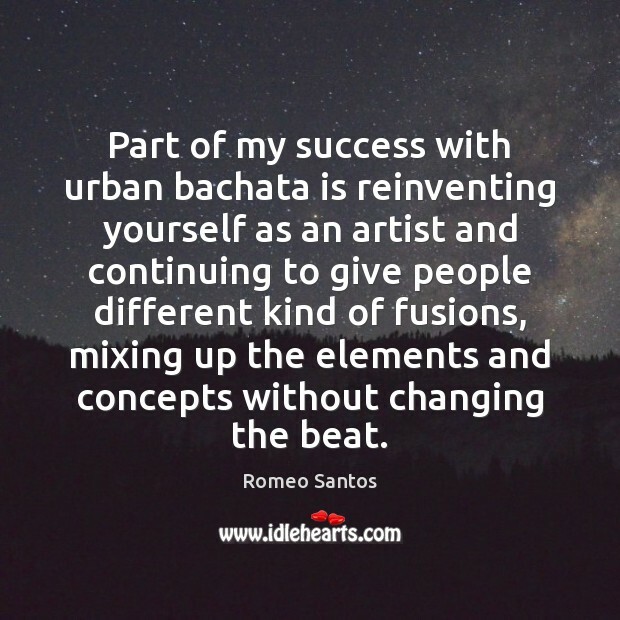 Part of my success with urban bachata is reinventing yourself as an artist and continuing to give people different kind of fusions, mixing up the elements and concepts without changing the beat. I listen to a lot of crazy stuff like pop, techno, rock, hip-hop, rap, baladas, bachata...my iPod is crazy. 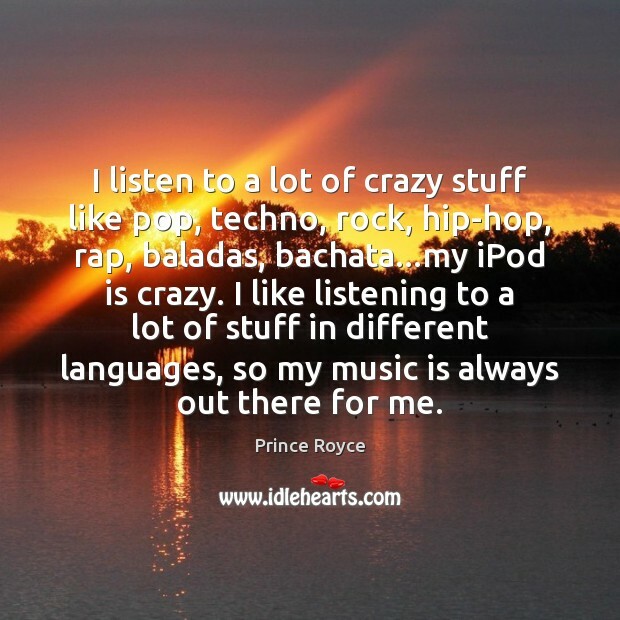 I like listening to a lot of stuff in different languages, so my music is always out there for me. 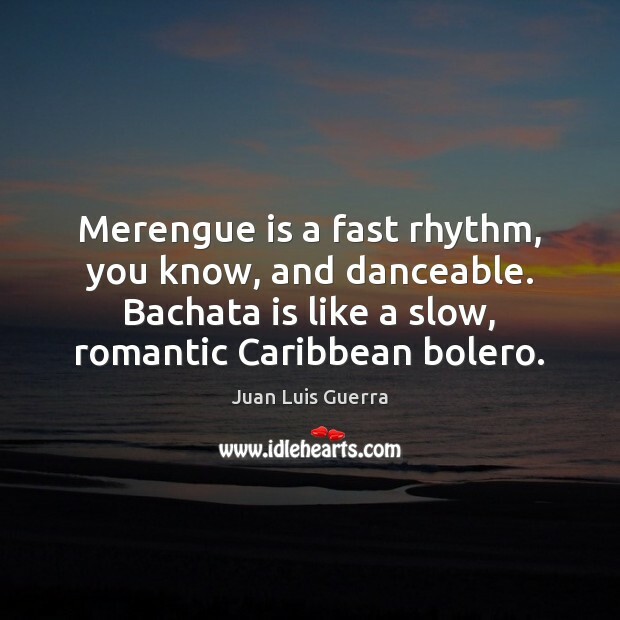 Merengue is a fast rhythm, you know, and danceable. Bachata is like a slow, romantic Caribbean bolero. 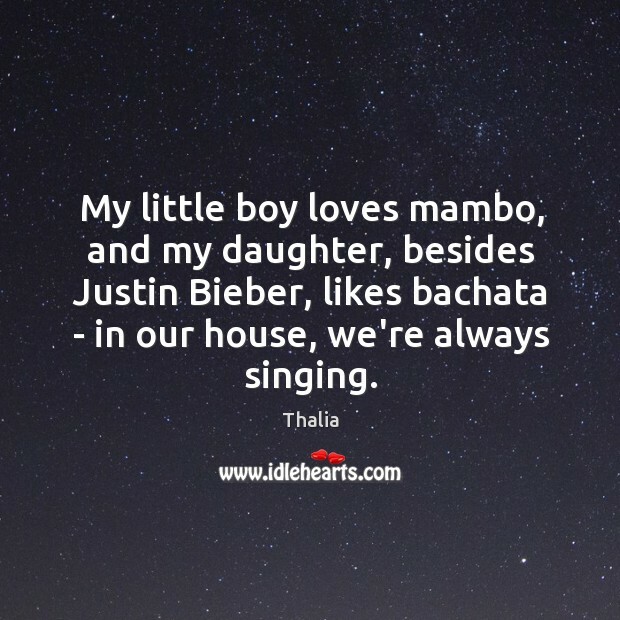 My little boy loves mambo, and my daughter, besides Justin Bieber, likes bachata - in our house, we're always singing. 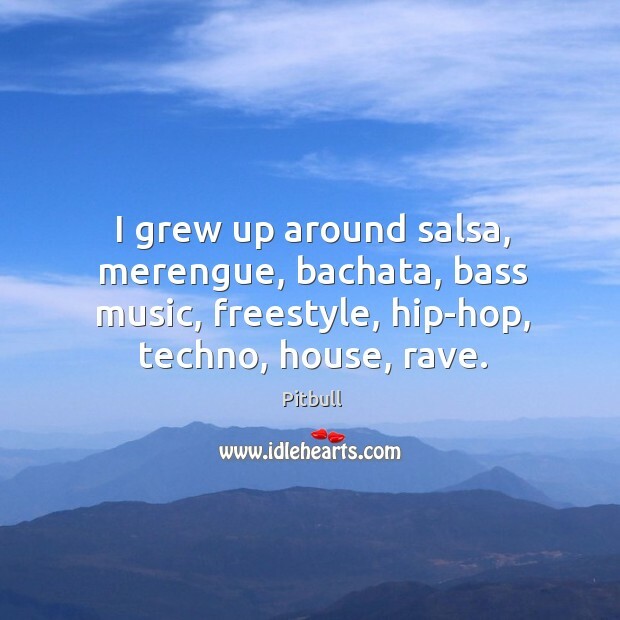 I grew up around salsa, merengue, bachata, bass music, freestyle, hip-hop, techno, house, rave. 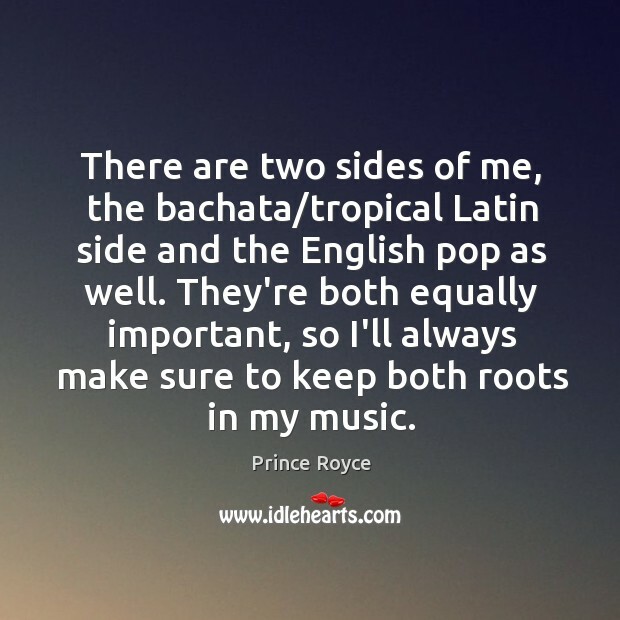 There are two sides of me, the bachata/tropical Latin side and the English pop as well. They're both equally important, so I'll always make sure to keep both roots in my music.